In many countries, cities and marketplaces dotted all over the planet, haggling is a way of life. No doubt most of us will have been caught up in the excitement of haggling at some point, probably on holiday. The rudimentary process of buying and selling is less of a soulless transaction in these places, and more of a ballet that has been going on for centuries. There’s no danger of looking cheap for wanting to get a fair price for something, particularly if you think it’s far more expensive than what it should be. In fact, if you choose not to haggle in countries with ingrained haggling tendencies then it’s almost certain that you’re going get ripped off. It’s a necessary game that people must play, and enjoy. But not so much in the UK, right? Think of the way that any major supermarket operates and you might say it’s indicative of our way of life. We now rely on fast-paced services that require as little human interaction as possible. We’ve replaced humans on the till with optimised robots who almost rush you into gathering your bags and change, and leaving the shop. The very idea that haggling could become a part of our day-to-day life seems more unlikely now than ever before. We’d argue otherwise. Okay, so while haggling over the price of a cheese and onion sandwich in Tesco isn’t likely to get you very far, there are plenty of independent shops, butchers, bakers, grocers etc. where you can strike a deal with the proprietor, particularly if you’re looking to buy several items. In this sense, twenty-first-century life has been built on convenience in favour of best value for money, or quality. 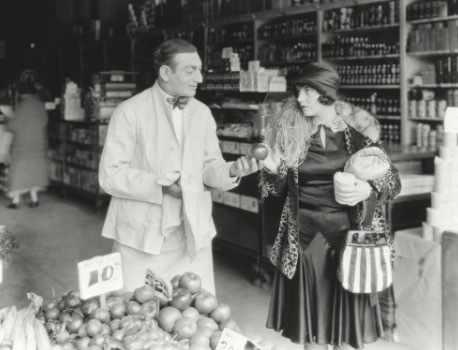 By seeking out the more informal shopping atmosphere that tends to be found in an independent shop, it’s far more natural to engage the shopkeeper in conversation. If you find an item with a slight issue, a shirt with a button missing or a cushion with a slight mark, then it’s likely you can talk your way into saving a few pounds. If you thought the art of haggling would soon bite the dust in the digital age, think again. The Internet has afforded shrewd shoppers with more opportunities to sniff out a deal. Live web chats are a great way to interact one-on-one with a member of staff and ask for discount codes, promotional offers and free delivery. Certain social media platforms like Twitter also allow people to broadcast their views on a particular product or customer service experience to the general public, which can often prod the business into getting in touch with the customer with a discount or some sort of freebie. As a customer who spends money regularly with a certain business, it’s only fair to expect some recognition for your ongoing loyalty. Fortunately, many businesses do make efforts to reward their regulars in some way, even if you have to ask for it. For instance, the next time you’re in the market to upgrade your mobile phone then it’s worth pointing out how long you’ve been on your contract for. This could easily land you a discount, a better tariff or more 3G data each month. How does current cost of living stack up in the UK? Is Black Friday as big of a deal as we think?